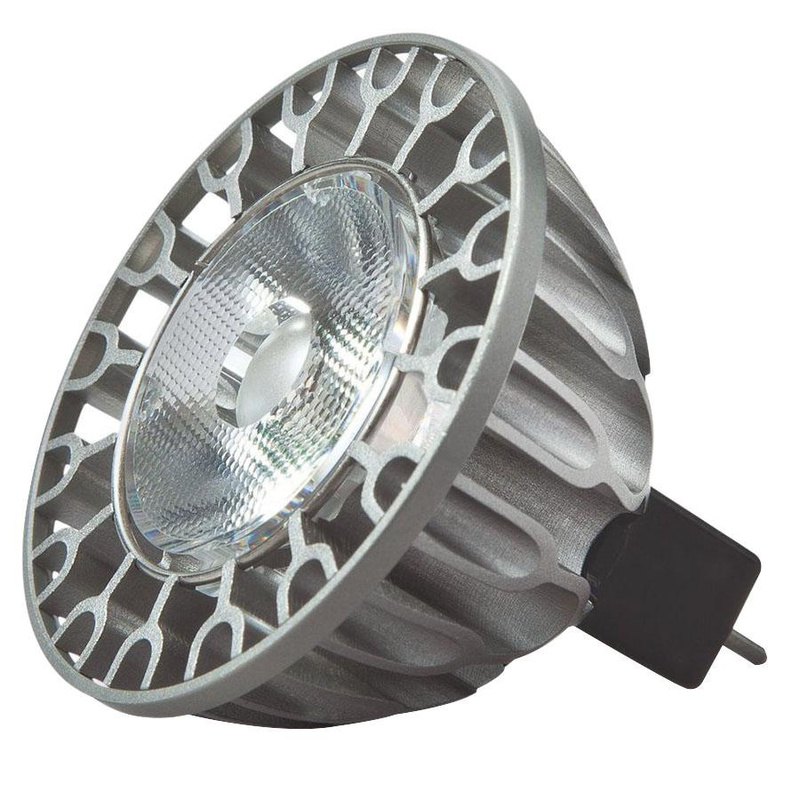 Tech Lighting Lighting Science Difinity™ Replacement 8-Watt MR16 GU5.3 base LED lamp offers 470-Lumens of bright light output. This lamp has voltage rating of 12-Volts. It has color rendering index of 83 and color temperature rating of 2700K to ensure optimal light level in the surrounding. It emits or distributes light at beam angle of 40-degree. This lamp comes with average life of 25000 hours.